In America’s Stage: Times Square, street photographer Betsy Karel (born 1946) uses five New York City blocks as a metaphor for urban America today. Her premise is that many of the major trends of our society are present in Times Square: globalism, consumerism, ubiquitous sexualization, hucksterism, surveillance, narcissism. All are compressed and amplified here. 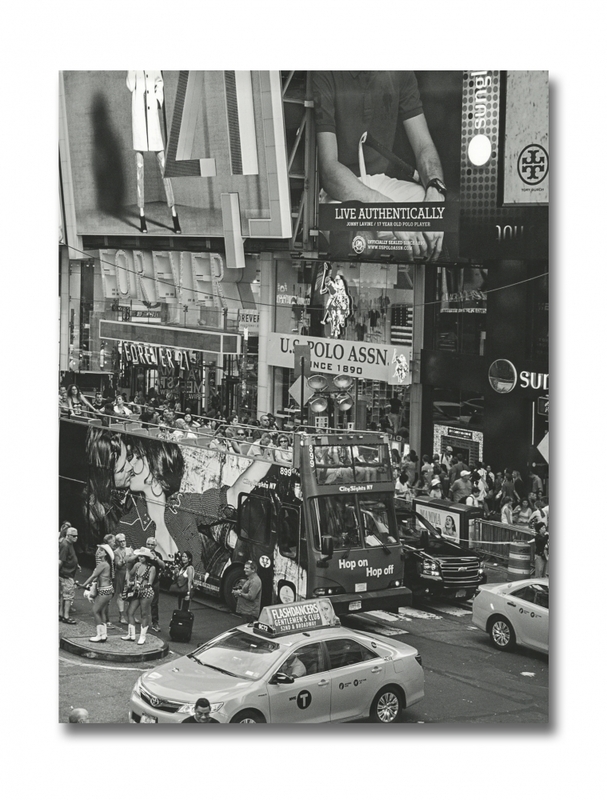 In Karel’s photos fantasy parades as reality, corporate interests invade almost all public spaces, and Times Square becomes a vivid, almost hyper realistic, form of theater.